The Schengen Information System (SIS II) currently contains around 236,000 searchable fingerprints. Half a year ago, the figure was still around 135,000. The reason for the increase is the introduction of a „Fingerprint Identification System“ (AFIS), which was activated by the EU Commission on 6 March last year. At that time, SIS II contained around 97,000 fingerprint sheets. Until then, searches in existing fingerprint data were only possible in the EURODAC database and in the Visa Information System (VIS). The new AFIS is intended to tackle general crime as well as the misuse of identities. The introduction was preceded by a two-year pilot phase. The system is managed by the European Agency for the Management of the Operation of Large-Scale IT Systems (eu-LISA), which now houses all the major databases in the field of Justice and Home Affairs. Each new fingerprint stored in the Schengen Information System is compared with the other centrally stored data sheets. When crossing a border or carrying out a police check, the fingerprints can also be searched by any SIS II official to determine whether there are any other, possibly forged, documents relating to the person. It is also possible to compare traces at a crime scene with alerts issued by all 30 Schengen Member States. As the number of data records increases, so do the number of searches and, consequently, the number of hits. Throughout 2018, German authorities found 2,395 matching fingerprints in SIS II. In EURODAC, around 129,000 people were found in 2018 according to German queries. This is about one fifth of the total number of hits of all European authorities. The use of AFIS is now mandatory. The European Commission has published three new regulations on the Schengen Information System, which have since been adopted by the Council and Parliament and have been in force since 27 December 2018. They apply immediately as regulations, but the Schengen member states have two years to implement the AFIS function. In addition to Germany, the Netherlands, Latvia, Malta, Slovenia and Portugal are currently using the possibility of identifying persons in SIS II using their fingerprints. Hungary, Austria, Switzerland, Liechtenstein and Poland plan to introduce the function soon. All German police forces are authorised to use SIS II-AFIS, which the query via the police information network INPOL. The authorities inform the German central office for national and international information exchange, which is located in the Federal Criminal Police Office (BKA) under the name SIRENE, of a hit. Found hits are then verified by „fingerprint experts“ in the BKA. The Schengen Member State in whose data the hit was found may then be notified via the SIRENE Bureau. Alias identities may also be transmitted in the case of falsified documents. There is no automated hit notification. If false hits are found, the record is forwarded to eu-LISA for verification and analysis. In 2018, German authorities identified five false matches in the SIS II-AFIS. Eleven false hits were reported for the EURODAC system, four of them from Germany. Since December 2016, German authorities have also been querying US databases for fingerprints and DNA data. The BKA is also the contact point for data transfers within the framework of the German-American Security Agreement. In October, the German Ministry of the Interior wrote that the FBI had sent 101 research requests to Germany. During the same period, the BKA sent 191 searches to the FBI. Five matches were found. 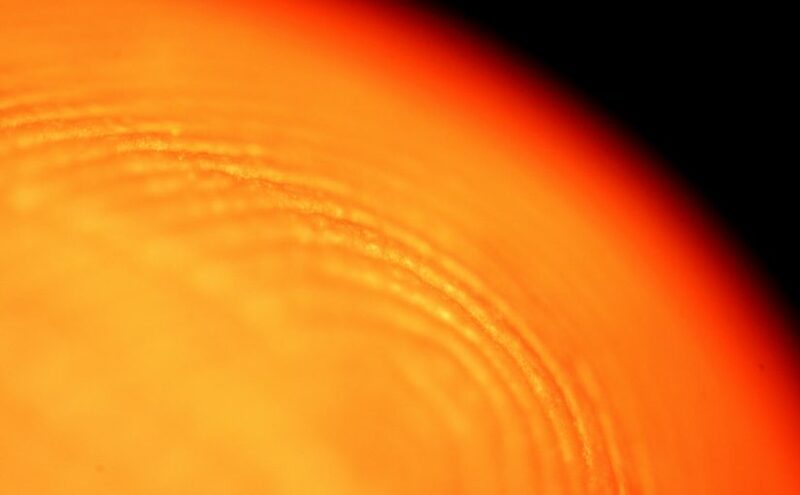 Image: Fingerprint (CC-BY-NC-SA 2.0, Dave Rutt).